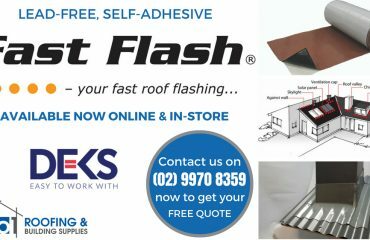 Curved roofing sheets are so incredibly versatile and add a special touch of elegance to any roof profile. The wide range of curved corrugated roofing sheets produces an eye-catching modern contrast to the straight lines of most standard straight sheeting roof projects. And bullnose verandah sheets can add that timeless classic look to old villas or soften the edges of a modern building design. Bullnose verandahs also provide additional weather protection for your house. Curved panels are typically used in commercial projects with bullnose being more commonly used in housing. Whatever your particular bent, you can round off your next roofing project to perfection with curved and bullnose roofing. Subtle end curves, massive single over-arching curves, curved peaks and valleys; whatever your vision, curved roof profiles are at the forefront of modern roof design. Let your creative design spirit flow freely with a combination of straight sheets mixing it up with curved and or bullnose sheets. Our precision computer controlled curving machinery gives us enormous control and precision over the degree of curvature throughout the entire process. Pre-curved roof sheeting can also be used for wall cladding adding even more spectacular design possibilities. Significantly increased strength under high wind conditions thanks to an improved airflow over the curves (depending on roof orientation relative to wind direction). Increased usable overhead space requiring less complex support structures than a typical gable roof. A curved roof adds a valuable point of difference for your home or commercial building. Let No.1 Roofing show you how you can enjoy that difference with your next building project. They say there’s no such thing as a perfectly straight line in nature so what could be more natural that corrugated curved roofing sheets. A full range of corrugation profiles and the ability to completely customise the degree of curvature gives your new building the sleek sensuous look of perfectly natural curves. Curved corrugated roofing sheets can be used for both roof and wall applications in commercial build projects as well as residential housing builds. With a choice of zincalume or Colorbond with its extensive colour range your options are quite simply mind-bending. The bullnose profile provides the perfect classical heritage look for verandahs, patios and even carports. Whether you are refreshing your federation villa or looking for a retro look, bullnose profile sheets offer the timeless classical look. Bullnose roofs also provide some real advantages such as improved weatherproofing with less windblown rain penetrating your verandah areas. Bullnose roofs effectively give you more height under the verandah without increasing the exposure to the weather. The drop off at the end of a bullnose roof can also increase roof longevity by preventing the build-up of leaf litter, dirt, and pools of water at the sheet ends. You may also appreciate the lower cooling bills in summer because the bullnose verandah construction reduces the amount of sunlight and glare entering through the windows. You’ll use your air conditioning less and your fabrics and carpets will suffer less fading and UV damage. You can use bullnose sheets to match the profile of your carport, patio or pergola to your house too. 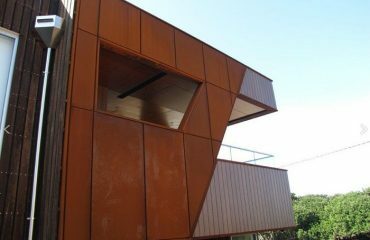 Bullnose and curved sheets are available in Colorbond. Colorbond curved roofing panels offer the same exceptional durability and performance capabilities as traditional straight Colorbond roof panels. And you always have the same peace-of-mind backup of the extensive Colorbond warranties. Take advantage of the huge range of Colorbond colours and really make your new curves stand out from the crowd. Maybe you want your curved roof line to become one with the sea, forest, sand or rock of the local environment. The Colorbond range of colours will support your creative vision all the way. The Colorbond range reflects the vibrant colours of Australia. Whether you’re looking for cool shades or warm hues, subtle hints or bold splashes of colour, light or dark contrasts, Colorbond has the perfect colour for your needs. If the design of your roof is going to create significant glare issues you might want to think carefully about using more muted colours. Remember that if you are replacing a roof on a heritage building your colour choice may be governed by council regulations. The Classic range will provide ideal options for most heritage buildings. Certain land development areas may also have colour restrictions that will affect the choice of colour for your roof. 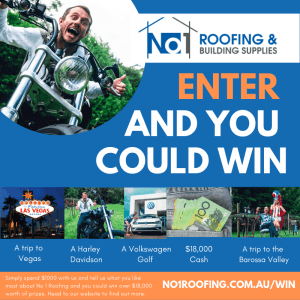 Will Bending the Roofing Sheets Damage Them? Our corrugated curved roofing supplier uses innovative techniques and the latest hi-tech equipment to ensure that your new curved profile sheets are free from the rippling and other pressure marks that are sometimes be seen on other production chains. Computerised machinery ensures fine precision when creating curved profiles and allows us to customise and match your most exacting requirements. All our curved roofing products use G300 soft feed hi-tensile steel, which is specially designed for the curving process. 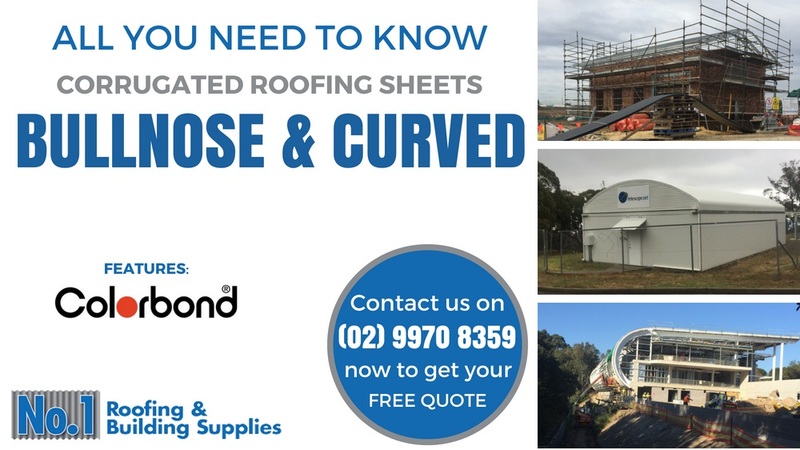 Curved and bullnose roofing sheets are designed to meet the same high Australian and NZ standards for load, wind, and corrosion resistance as all our other roofing products. 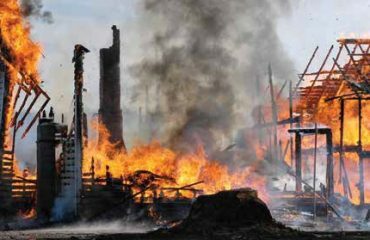 As with all steel products, it is important to ensure materials compatibility for both direct contact and water runoff from one material to another. Your friendly experts at No.1 Roofing can give you all the advice and materials you need to see your curved roofing project through to a successful conclusion.